Lincoln Salary & Employment Insights Report findings: What’s the most demanded employee benefit, which sectors plan high recruitment and where’s the biggest talent crisis? Lincoln Salary Survey 2019 launch pictured (l/r) Alan Ahearne and Shay Dalton. Photo Chris Bellew. The Lincoln Salary and Employment Insights Survey shows strong business and employee confidence across the majority of professional services sectors and most regions in Ireland. However, this positive momentum is being challenged by one of the most difficult recruitment markets of recent times and clouded by Brexit-related uncertainty. Economic commentary of the survey was provided by Alan Ahearne, Professor of Economics and Director of the Whitaker Institute at NUIG. Ahearne’s analysis indicates continued robust growth in employment with Ireland reaching a new peak of just above 2¼ million. The major challenge for employers over the next couple of years will be to find suitable workers to fill the job vacancies. Nearly three-quarters of employers in the survey expect a shortage of suitable applicants to be the biggest recruitment challenge next year with 88% of employers saying they expect to hire staff in the next 12 months. Despite the commercial optimism, negative sentiment has grown in relation to Brexit. Over the past year almost half of employers now believe it will have a negative impact on their business, up from 37% in the previous year. However, regardless of the outcome of the Brexit negotiations, Irish employers have a positive business outlook with 98% expecting business activity to increase or stay the same in the coming year. Survey analysis indicates competition among employers for talent in knowledge-based sectors is likely to intensify particularly in Finance, IT, Healthcare and HR, with the biggest jump in skills shortages seen at the mid-level managerial level. What benefit do employees value the most? The most in-demand benefit for Irish workers is flexible working with 72% of professionals preferring this benefit over any other benefits, aside from salaries. According to the report, employee expectations for flexibility – in terms of where, when and how work gets done – continue to rise, along with demand for collaborative work environments which help improve workforce experience, engagement and productivity. The survey revealed that employees want a greater focus on professional development and learning initiatives, yet employers, while trying to meet that desire, seem to be missing the mark. While employers rank career development and learning high in importance, over half of the employees surveyed (51%), rated their employer’s learning and development opportunities as average to very poor. This gives organisations an opportunity to capitalise on this highly regarded benefit by enhancing their training offerings in order to create a very strong tool that should attract top talent in this competitive labour market. 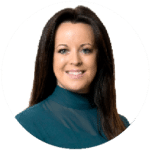 “Moving into 2019, employers need to be conscious of the changing demands of employees. Employers that respond to these create a happier, more engaged workforce, and will reap the benefits of enhanced business performance,” Mr. Dalton added. Whatever the outcome of the Brexit negotiations, competition among employers for talent in knowledge-based sectors is likely to intensify. It’s an employee’s market – with little to suggest that this will change anytime soon. 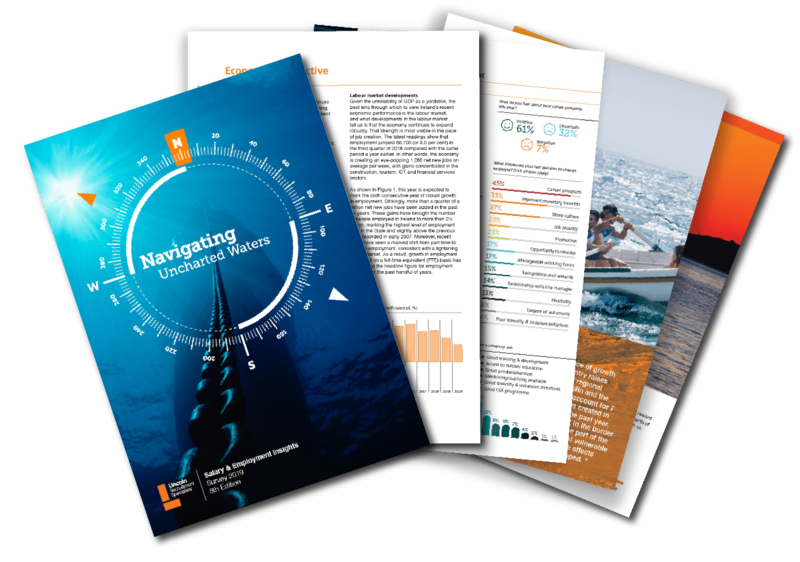 Complete findings are published in a new report, Salary & Employment Insights Report 2019 – Navigating Uncharted Waters. For the full survey download, with detailed commentary and salary breakdown by role and sector, please visit the Salary Survey 2019 page.